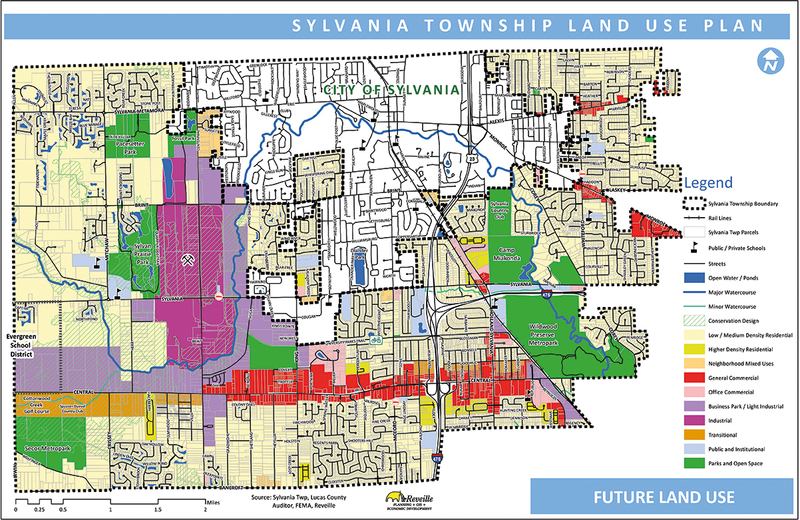 Reveille is currently updating a land use plan for the Sylvania Township, an upscale community located in western Lucas County, Ohio. The plan will serve as the official guide to decision making with regard to the location, character, and intensity of proposed public and private development. The plan will arm Township officials with strategies on how to better link the community, as well as how to best utilize its land resources for highest and best uses.